Pediatricians, psychiatrists, nurse practitioners, neonatal, psychiatric and pediatric nurses, pediatric therapists—OTs, STs, PTs, parents, foster care professionals, LCSWs, behavior therapists, psychologists, counselors and teachers. 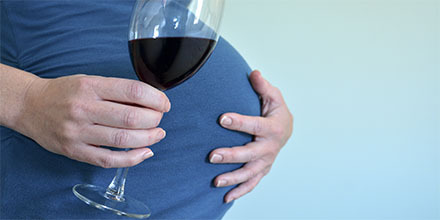 Fetal Alcohol spectrum disorders are costly, life-long disabilities. Fetal alcohol spectrum disorders are known as hidden disabilities because the vast majority of children and adults living with the impairments are not diagnosed. This conference will discuss how a parent or professional can recognize and provide the most optimal environments, give the best therapies and provide optimal medical care for children with FASDs. After the conference, participants will be able to discuss how a parent or professional can recognize and provide the most optimal environments, give the best therapies and provide optimal medical care for children with FASDs. Dr. Yasmin Senturias was featured in a news story and video clip by WSOCTV! CLICK HERE to read the story and watch the video clip. This Activity fulfills the requirement of 0.73 Continuing Education Units (CEUs), representing 7.3 contact hours for full day attendance. This Activity fulfills the requirement of 0.38 Continuing Education Units (CEUs), representing 3.8 contact hours for half day attendance (8:00am - 12:15pm). Charlotte Area Health Education Center is an NBCC Approved Continuing Education Provider, ACEP No. 5096. The ACEP solely is responsible for this program, including the awarding of NBCC credit. 7.3 CNE Contact Hours will be issued for full day conference attendance. 3.8 CNE Contact Hours will be issued for attendance at the half day conference (morning sessions). Nurses must sign in each day and complete the online program evaluation in order to receive the CNE credit for that day. Attendance of at least 90% of the program is required to receive credit. No partial credit will be provided. Charlotte AHEC is an approved provider of continuing nursing education by the North Carolina Nurses Association, an accredited approver by the American Nurses Credentialing Center's Commission on Accreditation. Describe the role of the optimal home and school environment in managing the neurobehavioral features of FASD. Identify therapies that are helpful for children with FASDs, with emphasis on therapies for self-regulation, e.g. Zones of Regulation therapy and strategies for executive dysfunction.. Discuss the role of medicine, nutrition and exercise in the management of FASDs.